Stating your faction, nationality, group, or your personality have never been this vivid – and banners made it all possible. 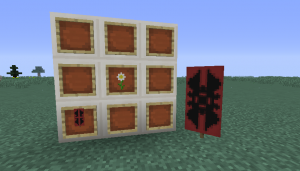 Introduced on Minecraft 1.8, banners are tall decorative blocks that can be customized using dyes. They are non-solid entities as they have no collision mask – allowing players to pass right through them. 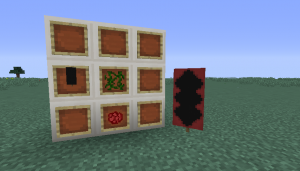 Banners can be crafted by using 6 wool and a stick on a pattern similar to the sign item. Banners maintain the color of the wool used to make it – resulting in 16 different base banners. 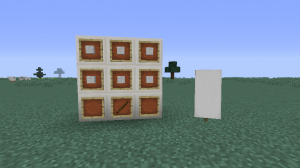 You may dye a banner using a crafting table. 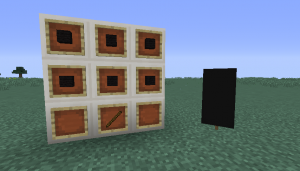 You may also add items on the crafting table to create a specific patterns. 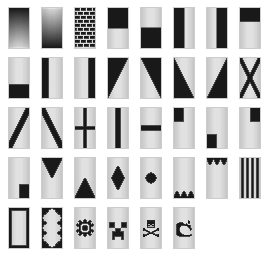 There is a total of 38 patterns that you can use. These patterns come in all 16 colors. A single banner can hold up to 6 patterns simultaneously – allowing for a more customized look. Pattern placement will be done by layers, so the first pattern you used will placed at the bottom, and the last one will be placed on top. There are many things to consider when creating a complex pattern; the outcome of the image, the number of layers, the colors to be used, and many more. 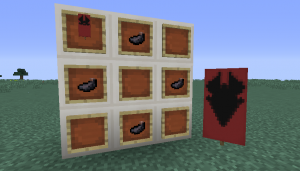 The steps below will guide you in creating a dragon head banner. 1. Before jumping to the patterns you have to choose the right color for your banner. Sometimes the banner color is the dominant color, and sometimes it would be the outline of the other patterns. On our sample use a black banner. 2. Dragons are associated with fire, so we will be choosing the color red. 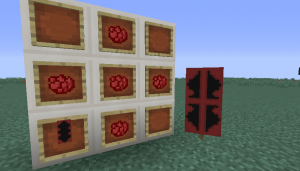 For the first layer, use the red-vine pattern. 3. For the next layer, use a red cross pattern. 5. Next, fill the bottom part with red. 6. 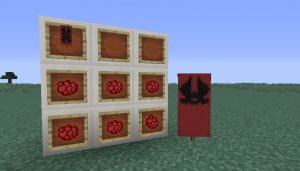 Using ink sac, create a diamond pattern on the banner. This will create the dragon’s head. 7. 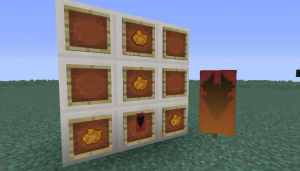 As final touch, create an orange gradient pattern to indicate a fire. Found this tutorial helpful? Do you have any questions or clarifications? Let us know by leaving a comment.